February 2015 - An Opportunity to Celebrate Life! Living Alive Phase I: What’s In It For You? A while back I wrote a blog requesting others to share their Ultimate Result from taking a Living Alive Phase I program at The Haven. I loved hearing from so many people, and decided I wanted to share some of the responses (without revealing anyone)! Faith in myself and my ability to connect. Energy and purpose that I thought was lost. The courage to identify when I am sticking myself, and to make a shift, while being gentle and compassionate with myself and others in my life. Overcoming my desire to run because I don’t have the level of control I want. Also, being able to hang in and not have to get control. A path for communicating and appreciating people who think, feel, and want something different than me. Discovering the value in someone giving me honest straight feedback, and discovering the impact I am having on others – not collapsing but appreciating the realness!! Getting to see my patterns, work on them, and not change, but become compassionate and faster at self-correcting and moving forward. A new love of life that isn’t dependent on someone else being different!! Discovering my own voice and the value of speaking up and sharing my experience. These are just a few of the wonderful nuggets I got back. Many of these responses came from people who had taken the program two or more years ago and wanted to let me know the results were sticking!! I believe in this program and I am thrilled it is going to be offered in a new format. I think the Integrative Living Alive Phase I will be different because it has a built-in method for integrating the learning as you go. So often people at The Haven will say: “but this isn’t the real world.” Now, frankly, I don’t buy that line, but I do get it is a special place where most everyone is coming with a mutual purpose to learn and play in self-discovering. I also appreciate that taking that back into day-to-day life with folks who may not have that same shared experience or commitment can be hard. That’s why the new format offers a different possibility. Learn and Integrate Over 8 Months! In the new format, for eight months, we will be together. Sometimes at The Haven, working deeply, and other times back at home. Plus, there’s an online community and virtual programming piece. The ‘real’ world meets the learning lab! Learn and test at the Haven lab, then go home and try things. Use the online community to share and get feedback as you go. Wow!! There are folks who doubt that the same depth of connection can happen online. Let’s face it, one of the best parts of The Haven is the simplicity of sitting in a circle and the amazing connections that happen through the resonance of a group process. However, our world is no longer just happening face-to-face. Most of us spend a lot of time online. Sure, it’s easy to say that online is impersonal, but is that really a story worth holding on to anymore? To the right is an article by Rachel Davey, Executive Director at The Haven, printed in the Times-Colonist talking about the importance of becoming more comfortable online and how Haven is ready to go there. Yes, we still love the simplicity and potential of a group process, but also do not want to stay limited there. Haven wants to expand and include! I am looking forward to the new adventure! If the any of those ultimate results above sound appealing to you and you are ready to step in, I’d love to hear from you. Join Toby Macklin and I, in September 2015 to launch the new Integrative Living Alive Phase!! Click here to find out more and fill out an application. If you are a fit, we will look forward to spending eight months with you, supporting you creating your ultimate results. That’s what’s in it for you! Are You the Bacon or the Eggs? Heading home from a trip that included facilitating a one-day Smart and Healthy Leadership Team follow up offsite with an Executive team in Seattle, and then joining a weekend at The Haven Faculty retreat. Now home, I am myself reflecting on my experience. The biggest piece of learning for me came from a dinner chat about the difference between committing and contributing. Gary Dillon, another Haven Faculty member, and big Seattle Seahawks fan, and I were talking about some wisdom we had learned from football. We both agreed football wasn’t necessarily a major contributor to our spiritual purpose or living a meaningful life. However, we were each quite committed to our Seahawks and watching and cheering them on!!! 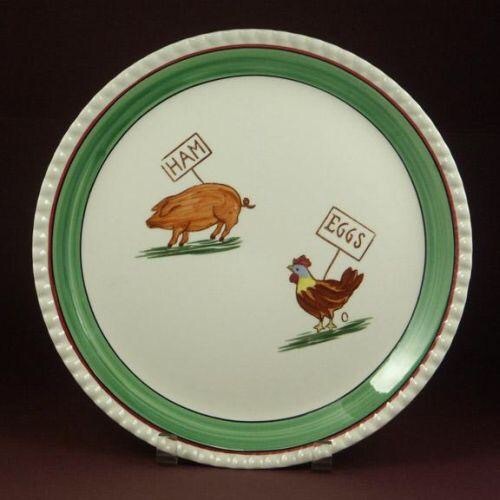 In case, that analogy isn’t obvious, as food pigs and hens end up as either the bacon or the eggs. But for a pig to provide bacon, he has to be all in. For a hen to provide eggs, that’s simply a partial offering. I’d say in working with a leadership team, like I was on Thursday, I am a contributor. At times, I think I may act too committed, more pig like, and need to be reminded, this is not my business. I am contributing to the team’s success. I do want the team members though to be committed. But if I am too committed, doing their work, I may actually be getting in the way. Now, as a Haven Faculty member, I have chosen to commit. For me, I do that through being on The Education Steering Group and focusing on bringing people to core programs, or engaging in the Haven programming in a way that extends The Haven’s reach and voice. As I sat in a circle with our Faculty, I believe I was in a room of people who represented both, those contributing and those more committed. I realize now that I have an underlining expectation that everyone be equally committed. That expectation creates a pushiness that may actually get in the way. 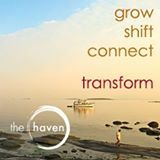 Because The Haven needs both contributors and people who are committed. I am also very aware the current way that The Haven operates does not make it easy to commit. It works for some, but for others their commitment may first need to be to their own livelihood, and one or two programs a year would not provide that. I know even in my situation, I ask myself, do I have the right level of commitment to Thrive, our business? Am I too committed to The Haven? These are questions that I wrestle with, and CrisMarie and I power struggle about. I found myself appreciating the clarity of some faculty who said, “I am a contributor and committed to something else, like my art, or medicine.” I also appreciated those who were clear about the area in which they were committed. Someone shared they were committed to assisting and leading smaller, non-core programs. Another is committed to creating three faculty engagements. This type of clarity helps me get clearer myself. I know I often struggle when I don’t think people are committed – be it at Haven, on a team, or in their relationship. Yet, life isn’t always about being committed. There are times when it is best to contribute. Frankly, there’s no way to be the bacon everywhere!! Nor, is it appropriate. These were the things I walked away wrestling with, AND what I love about being part of this faculty. I do come away from our gathering, thinking and often quite excited about something. This time it is this question of where am I contributing, and where am I committed. Not simply as a faculty member but in my life. As someone who lives in Whitefish, MT, how am I contributing to my community, and where am I committed? The same question can be asked of my business, my relationships, my health, or my learning. These are rich questions and are taken from a football coach’s pep talk. May be there is more to football than simply rooting for the Seahawks! !